The handkerchief importer and manufacturer Blooming Nakanishi has been around for 140 years. For this techo cover we chose a charming image from their World Nations collection, which contains over 3,000 designs. 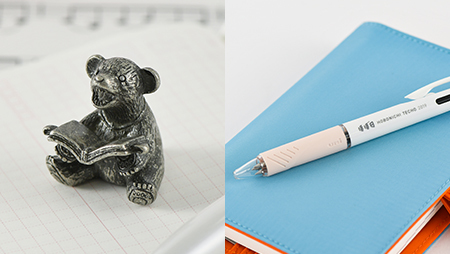 Its abundant detail mean you’ll be able to gaze at it every day as you reach for your techo without getting tired of it. 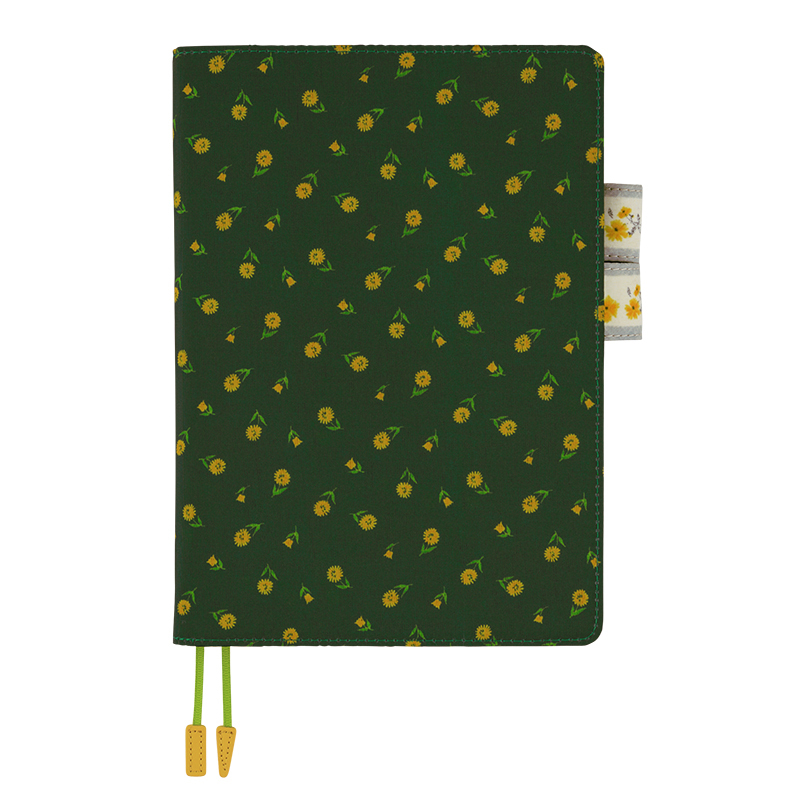 The Petit Fleur design depicts a vast green field dotted with blooming yellow flowers. Carrying this design around with you is like taking a refreshing deep breath, surrounded by the natural scenery it depicts. The cover design is accented on the pen-holders by another vintage handkerchief design, featuring gently blooming yellow flowers slightly different from those on the main cover. The cover is made from a fine-grain polyester that feels pleasant to the touch and is reminiscent of a cotton handkerchief. Carrying this cover, you’re sure to feel like you’ve got your favorite fresh, iron-pressed handkerchief tucked neatly into your bag. W: 162 x H: 228 x T: 20 mm / W: 6.4" x H: 9.0" x T: 0.8"
W: 148 x H: 210 x T: 17 mm / W: 5.8" x H: 8.3" x T: 0.7"
Each Book: W: 148 x H: 210 x T: 10 mm / W: 5.8" x H: 8.3" x T: 0.4"
Due to the characteristics of the print and product material, the sewing process may expose the white of the original material around the stitches.